Capture your patients’ attention with new service offerings, policy changes, time-sensitive healthcare information, or seasonal announcements right at their fingertips. Simply add inserts with your patient statements to communicate important information with maximum efficiency and minimum added cost. Create your customized layout, choosing from one of our array of templates, or you can upload your own design. Use black and white or color printing based on your budget and needs. 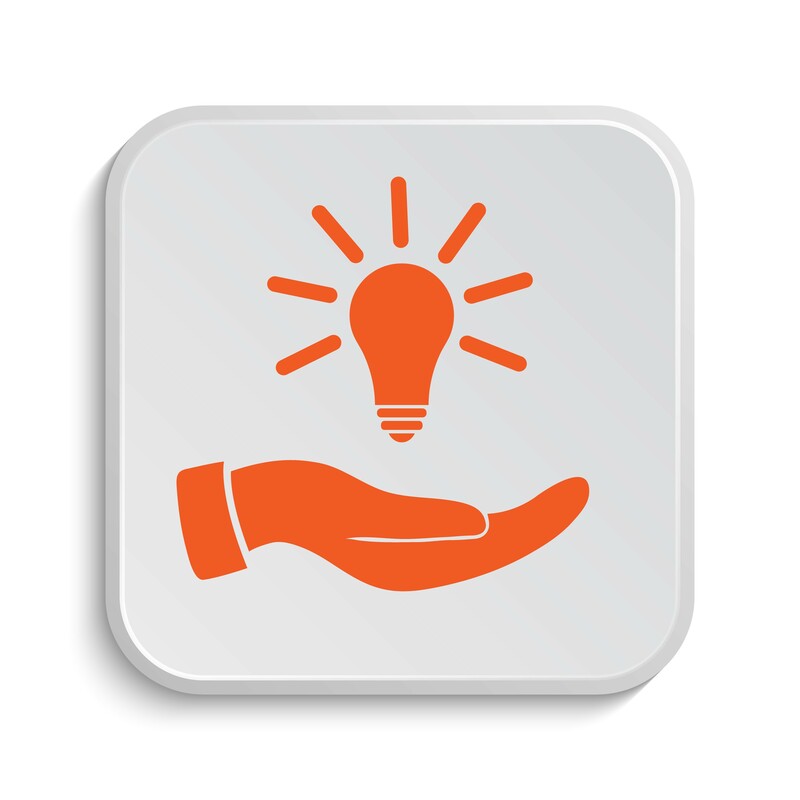 Personalize your message to deliver a unique patient experience and stand out from your competitors. Handle large, high-volume mailing without delays. Stay compliant with various laws and regulations by sending out timely notices. Distribute communications that meet the highest standards of accuracy, privacy, and confidentiality required by the healthcare industry. Streamline workflow, reduce your staff’s workload, lower administrative costs, and free up management to focus on core business activities. Leverage a flexible and scalable system that has proven to work for individual practitioners, physician groups, hospitals, and integrated healthcare systems. 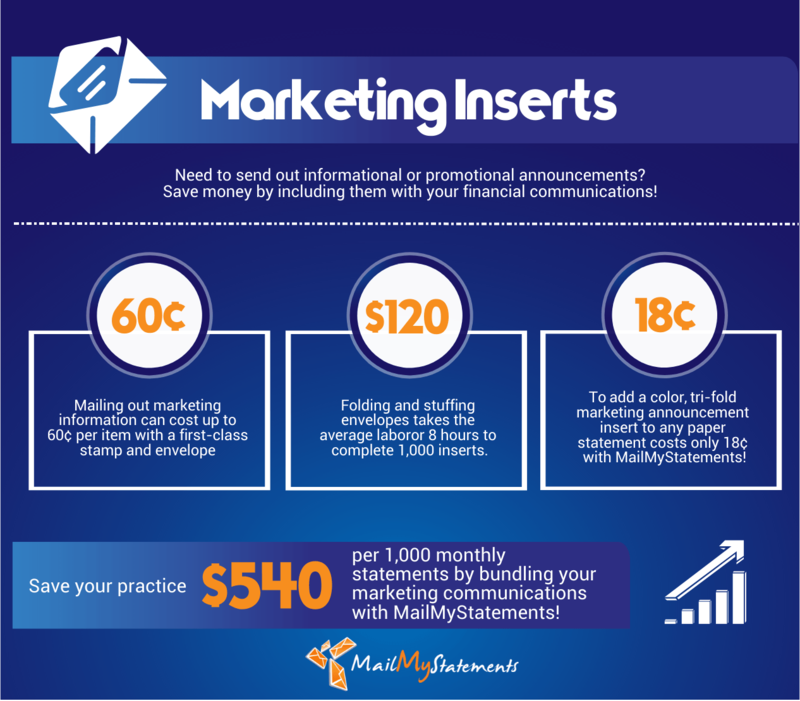 Send your patients promotional communications and announcements in an effortless, timely, and affordable manner, using our statement insert services. We have a proven process and track record of serving organizations and their patients with regulatory or statutory obligations, distributing communications that meet the highest standards of accuracy, privacy, and confidentiality. STOP PRINTING, BURSTING, FOLDING, STUFFING, LICKING, STICKING, AND POSTING! Whether you need to distribute 10,000 or 1 million inserts, our statement insert services will save you valuable time and resources. Use our state-of-the-art technologies to print and mail inserts along with your patient statements, to support your healthcare marketing and communications initiatives. We are HITRUST certified and HIPAA compliant so you can rest assured that you’re meeting the highest standards in protecting the privacy and confidentiality of your patients’ information.